Mary Helen Law is an independent travel agent with Mouse Counselors, an Authorized Disney Vacation Planner. Her specialties include Walt Disney World, Disneyland, Disney Cruise Line and Adventures by Disney. When she isn’t planning trips for others, Mary Helen enjoys organizing her own Disney vacations. Her 2018 travels included five trips to Walt Disney World and a trip to Disneyland Paris. She and her husband are expecting their first child and can’t wait to show her Disney parks across the world. 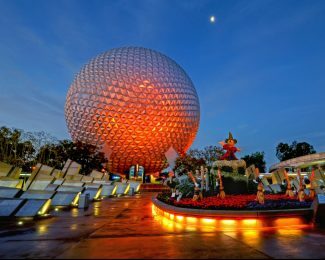 When it comes to selecting accommodation for your Walt Disney World vacation, there is a seemingly endless range of options. Here are five reasons to stay at a Walt Disney World Resort.